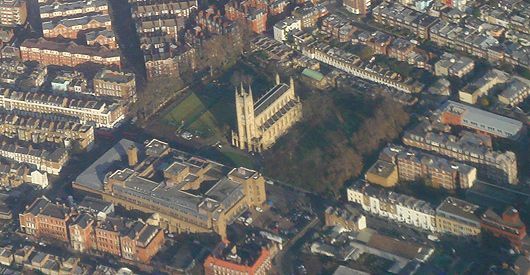 St Luke's was consecrated in 1824 and built because the original parish church (now known as Chelsea Old Church) was regarded as too small for the increasing population. Designed by James Savage, the church is built in Bath stone and resembles King's College Chapel, Cambridge. It has a grand neo-gothic style' it was restored in the 1980s. It seats 450 in the nave and 200 in each gallery. Christ Church was consecrated in 1839 and was originally a 'Chapel of Ease' to St Luke's. It became an independent parish in 1860. It is a smaller and more intimate church, designed by Edward Blore. The church seats 300 in the nave and 100 in each gallery. Please click here to read more of the history. The musical tradition is of the highest standard in both churches. St Luke's has the largest voluntary choir in London and Christ Church has mainly professional singers in its choir. There is also a joint parish junior choir. St Luke's is a popular concert venue throughout the year and has a number of high profile charity carol services in December.